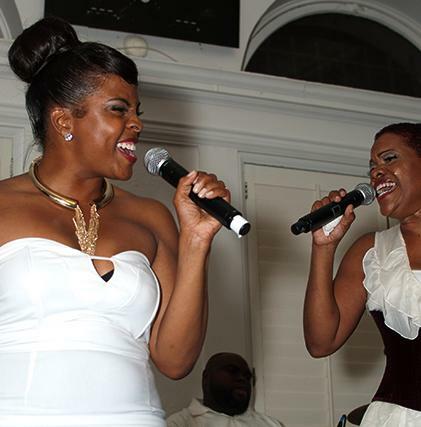 *Fresh off her role as ‘Tune Ann’ in the new movie, “Sparkles,” actress Brely Evans hosted a “All White Party” in the Bay Area to honor the late, Sharon “Miss Kittie” Randolph, and benefit the Sharon Randolph Foundation. 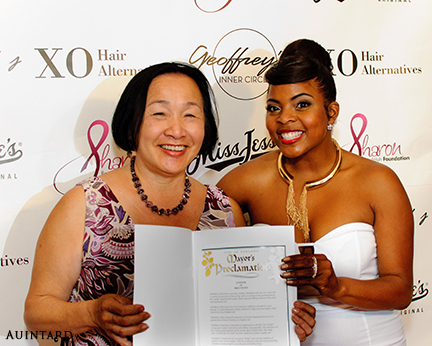 Brely was presented with an official Certificate from Jean Quan, the mayor of Oakland, proclaiming August 18 as, “Brely Evans Day. (Below Left) “Sparkle” actress Brély Evans takes stage with Sharon Randolph Foundation founder, Stacy Audriene.